Note: I received a free notebook from ColoringNotebook in exchange for writing this review. Nevertheless, all opinions are my own. I’m as obsessed with organization as I am creativity. Growing up, I was led to believe—for a while, at least—these two elements could never coexist. Everyone who told me this was wrong. You know how I know? For one thing, I just got a ColoringNotebook, and I think I’m in love. I found out about this beautiful product through the company’s Instagram account, and it was fascination at first like. According to the brand’s website, the ColoringNotebook is a “paper notebook with coloring pages for adults.” True to its word, the product features gorgeous, clean lined pages broken up with coloring spreads just begging to be filled. I started bullet journaling not too long ago, and after running out of pages in my old notebook, decided to give this new notebook a shot. 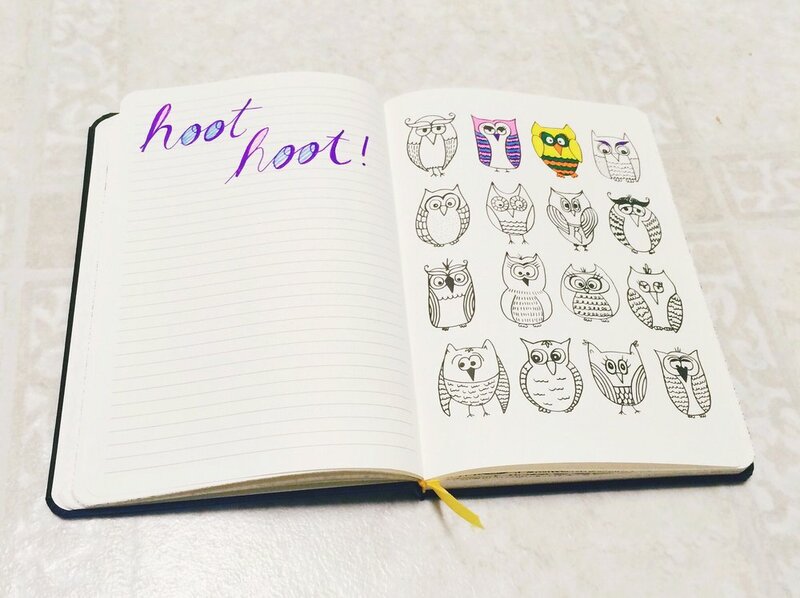 It’s great because it has plenty of room for me to write out lists, story ideas, blog posts, and more—all while allowing me to unwind and destress by coloring the interesting patterns, shapes, and objects scattered throughout the pages. After receiving this notebook, I found out it also comes in dot-grid format, which would be absolutely perfect for bullet journaling! With thick, high-quality paper, a sturdy cover and binding, a ribbon bookmark, and plenty of inspiring images to color, this notebook is everything I didn’t know I wanted. The next notebook I get is going to be one of these. If you’re in the market for a new notebook, pop over to the website and get a ColoringNotebook right away. Special thanks again to the ColoringNotebook folks for sending me such a sweet product!